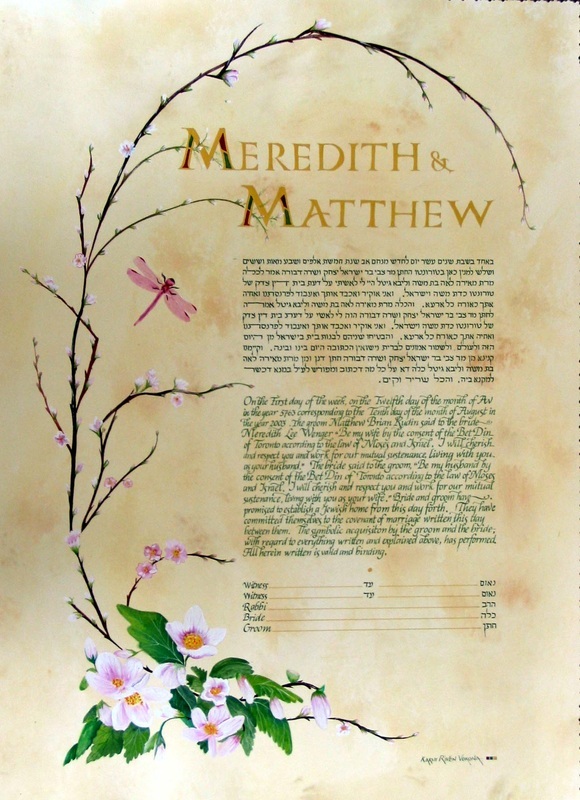 The personalized Reform Ketubah text is written in Hebrew and English. The green text on the "parchment" background is surrounded by the delicate Pink Magnolias and a branch of Apple Blossom which create an arch, a "gate" symbolizing an entrance to a joint happy life together. The names of the Bride and Groom are illuminated with delicate flowers.